16th June 2016: Returning to London's West End after last years triumphant run at the Adelphi, the Palladium was pretty much full to the brim - which is great to see for a midweek piece of comedy. Still going strong over in the US on TV, Whose Line is it Anyway? is brought to the stage with Clive Anderson overlooking proceedings once again. His dry wit and sarcastic humour is in full sway from the off, with a few Brexit gags thrown in to keep us up to date. The performers, as usual, are top of their game. Greg Proops, Josie Lawrence, Brad Sherwood, Jeff Davies and Colin Mochrie are all stalwarts at the improv game, and over the many years they have been doing it, they just seem to get better. No matter what subject is thrown at them, they can think on the spot of funny routines to make the house laugh. Yes, some of the games are as old as some of performers - scenes from a hat - standing, sitting, bending - film dub and more still give us a good laugh, but some of the new games don't have that rapport with the crowd - Kick It!, a rap based addition didn't seem to cut the mustard. Laura Hall and Linda Taylor provide the music for the games, one of the highlights being film and theatre styles with genres ranging from Sondheim (my suggestion which I shouted out) to Japanese anime. 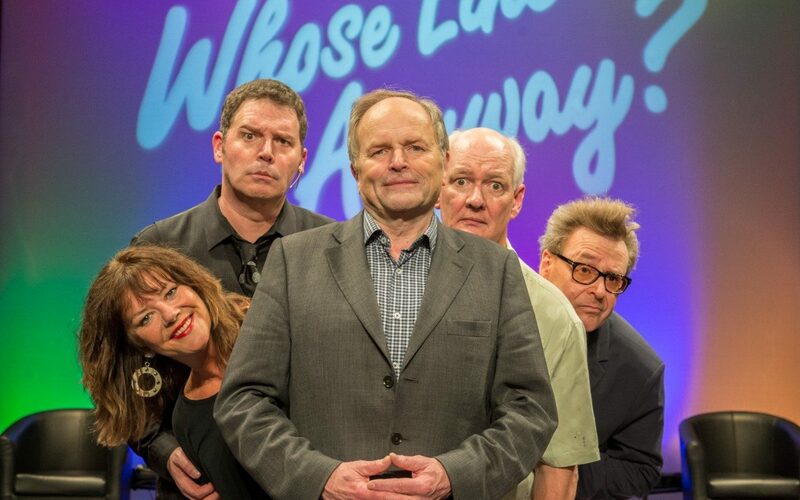 A great night out with many belly laughs guaranteed, Whose Line is it Anyway? is still very funny after all these years, and will continue to be.